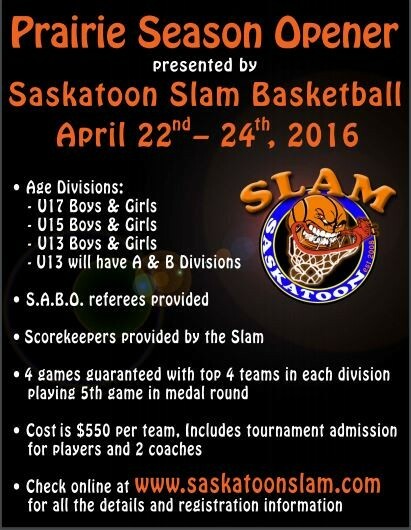 Updated Sunday February 14, 2016 by Saskatoon Minor Basketball. If you are looking for a tournament to enter to kick off the 2016 season this might be what you are looking for. Download the PDF below for all the details.